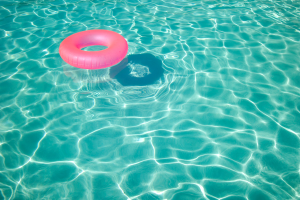 Can the Chlorine in Drinking Water and Swimming Pools cause Asthma Attacks? Just about anything can trigger an asthma attack, even chlorine. If you have asthma, and you are hypersensitive to chlorine molecules you can have an asthma attack just by swimming in a chlorinated swimming pool. The chlorine molecules can escape from the water to some degree and if you breathe them in, the molecules can trigger an asthma attack. Swimming is considered very good exercise, but for people with asthma who are allergic to chlorine, or are hypersensitive to it, could have an exacerbation of their asthma symptoms. Many Olympic swimmers are asthmatic, which suggests that they may be hypersensitive to chlorine. It seems that people who have asthma that is triggered by chlorine are usually those who spend a lot of time at the pool. The United States was the first to announce that about 25 percent of their Olympic swimmers had asthma. Soon after the 2000 Olympics, some studies were done and it was confirmed that the chloramines and trihalomethanes (THMs) will exacerbate asthma symptoms. It was discovered that chlorine will chemically change into nitrogen trichloride (NCL3). Nitrogen trichloride is one of the chemicals in the group of THMs when combined with waterborne bacteria, sweat, urine, skin particles, and hair follicles. It was also discovered that the chemical reaction creates other organic compounds, when inhaled over time can cause asthma symptoms in some individuals. For many years people have assumed that swimming in swimming pools is relatively safe, as long as the pool is chlorinated well. It is likely that most people wouldn’t normally expect that the very chemical used to keep water safe for swimming could actually combine with bacteria and other organic substances and create a chemical that will make them sick. It isn’t the chlorine that is causing swimmers to have asthma symptoms. It is the chemical reaction between the chlorine and the organics present in the water, including your own sloughed off skin cells. Swimming in chlorinated water isn’t the only way to be exposed to chlorine molecules. 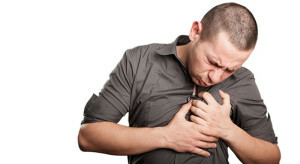 Some individuals can have an asthma attack just by drinking chlorinated water. People who have asthma that is triggered by chlorine should have a water filtration system that filters all the water in the home, so that the individual is not subjected to any chlorine at all. For those who are sensitive to chlorine, even taking a shower in chlorinated water could lead to an asthma attack. The same chemicals that are put in swimming pools are also put into drinking water. Everyone who has chlorinated water in their home is being exposed to a small amount of chloroform gas that is being released into the air inside the home. Chloroform is one of those THMs chemicals. When water is processed at treatment plants, chlorine is added to the water. Chlorine is added to kill the bacteria in the water; some of the chlorine combines with the bacteria and forms trihalomethanes. Therefore, if you have asthma and you are sensitive to these chemicals, you can have asthma symptoms. If you have taken precautions to avoid the triggers that cause you to have asthma attacks, and you still have them, you might be sensitive to the chemicals in chlorinated water. If you cook with chlorinated water, drink it, bathe in it and you have asthma attacks, you might be sensitive to the chemicals in it. You might try putting a good water filter system in your home for all of your water outlets. If you swim in a chlorinated pool, you might want to try abstaining for two or three weeks to see if your asthma symptoms subside. If your asthma symptoms go away after putting a filter on your water system and from abstaining from swimming in the pool, you may have found the trigger for your asthma attacks.